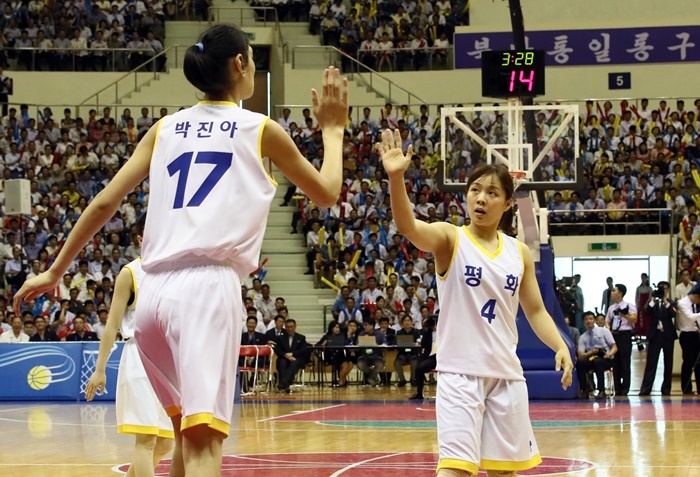 Park Jin-ah, a North Korean women's basketball player of 15 with a height of 205cm, is drawing people's attention. 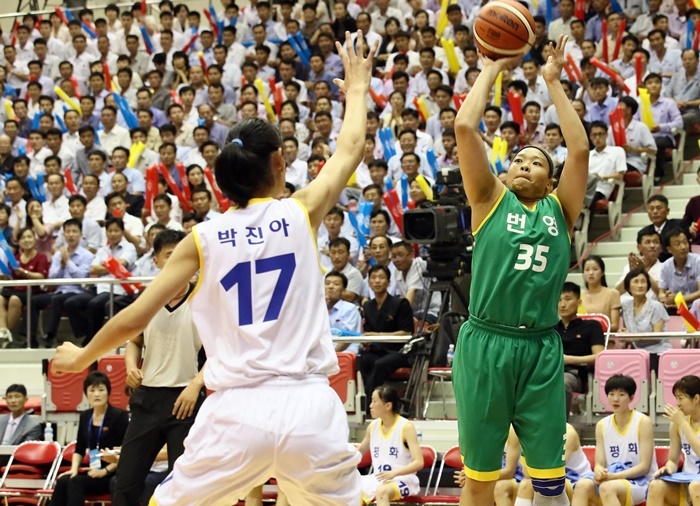 Female basketball players from South and North Korea teamed up in a friendly match for a South and North Korea basketball match at the Ryugyong Chung Ju-yung Gymnasium on Wednesday. Six athletes from North and South Korea competed in teams of "peace" and "prosperity". The prosperity team won the match by 103 to 102. Park, who only played for nine minutes as a substitute, scored nine points and eight rebounds. Although her moves were rather slow, it was clear that if she's around the net, she can easily score. A unified team consisting of South and North Korea players will soon conduct joint training in the South. Lee Moon-kyu, the coach of the Korean national team, said, "We still have to see how we will structure the team to get the best of each player and achieve the best results". 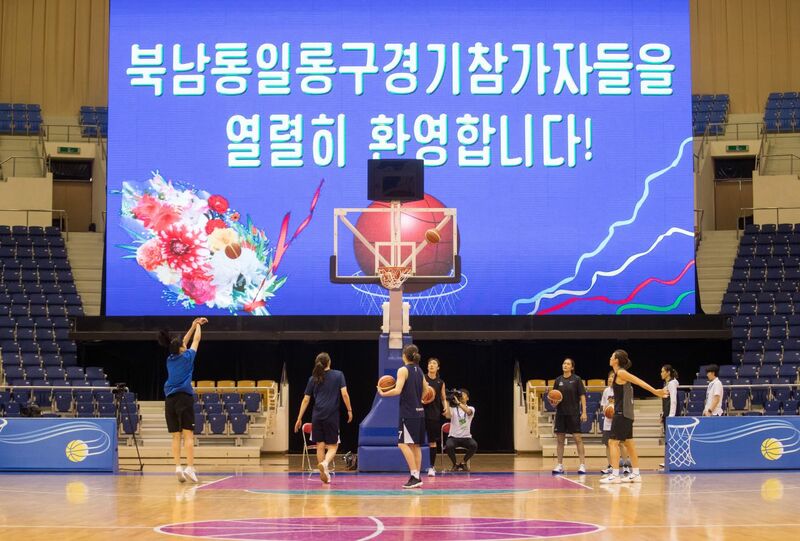 On June 28th, the Korean Women's Basketball Team decided to form a joint team between the two Koreas and participate in the Asian Games. 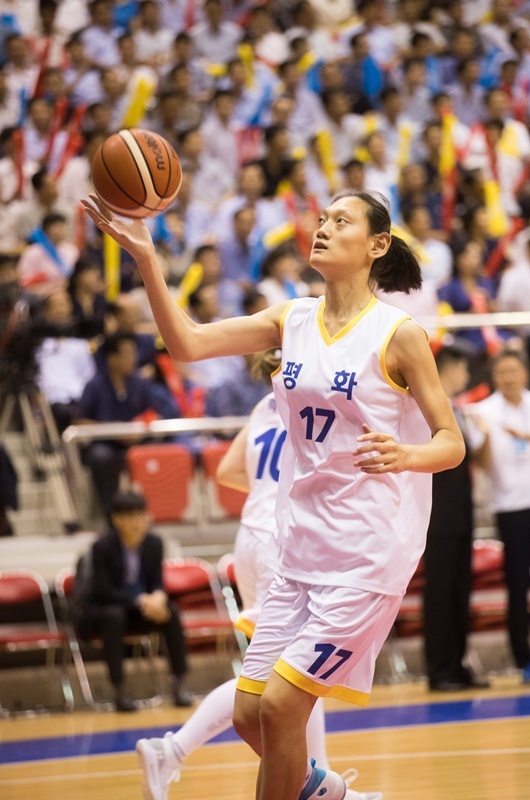 Korea's Women Basketball Team won the 2014 Asian Games and ranked 8th at Beijing Olympics in 2008. Lee Moon-kyo, the coach for the Asian Games said "North Korean players skills are not very good, but there's a possibility we can make it", he said "if we play together, we will be able to achieve good results at the Asian games."